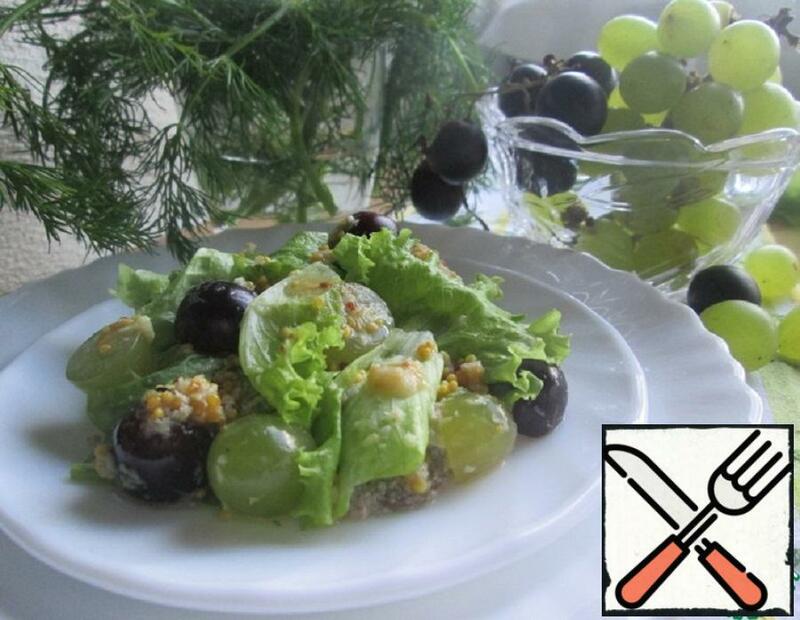 This salad perfectly combines liver, grapes and lettuce! Grapes with its richness very well “interrupts” the dryness of the liver, and the sour-sweet-spicy dressing delicious addition to the taste. 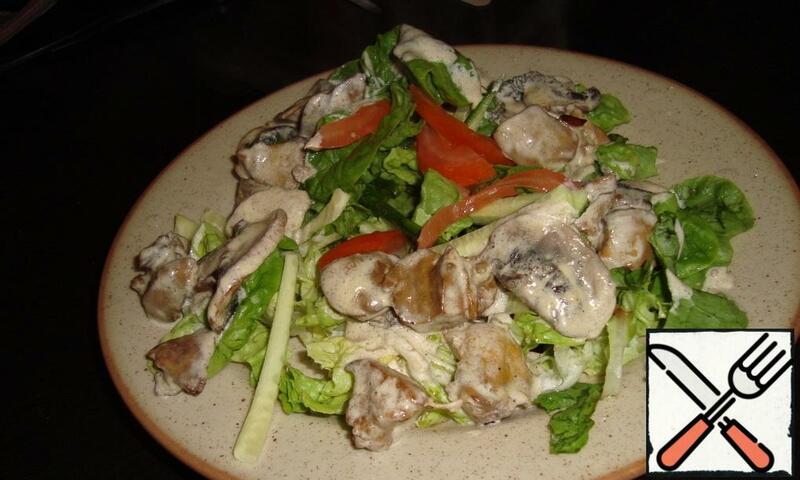 Very tasty and very nourishing salad. 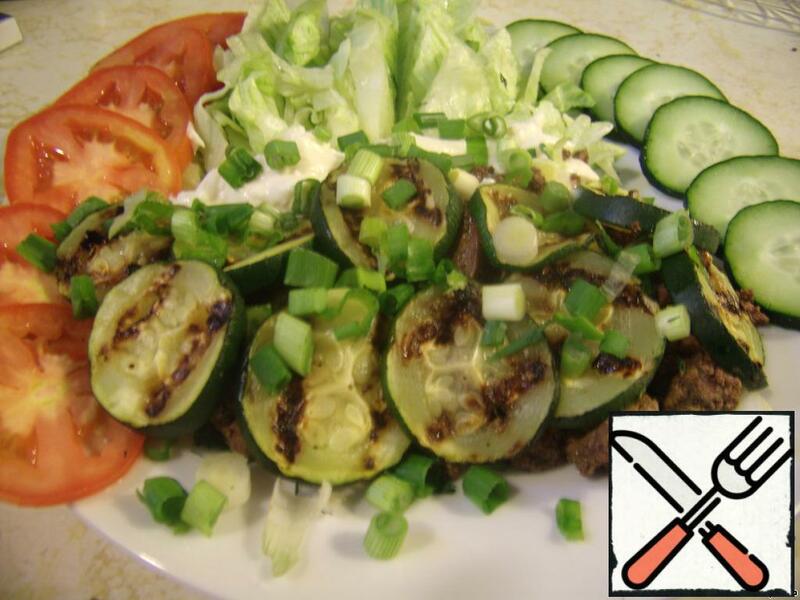 Tender at the expense of fried zucchini. The liver adds the richness. 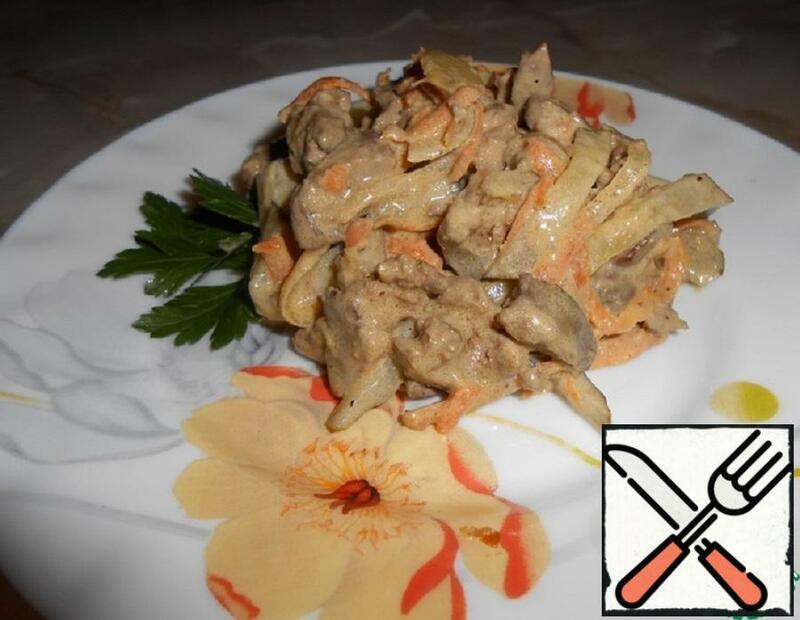 Very gentle salad, thanks to cream sauce and chicken liver, and, at the same time, very hearty (replaces me a full dinner). 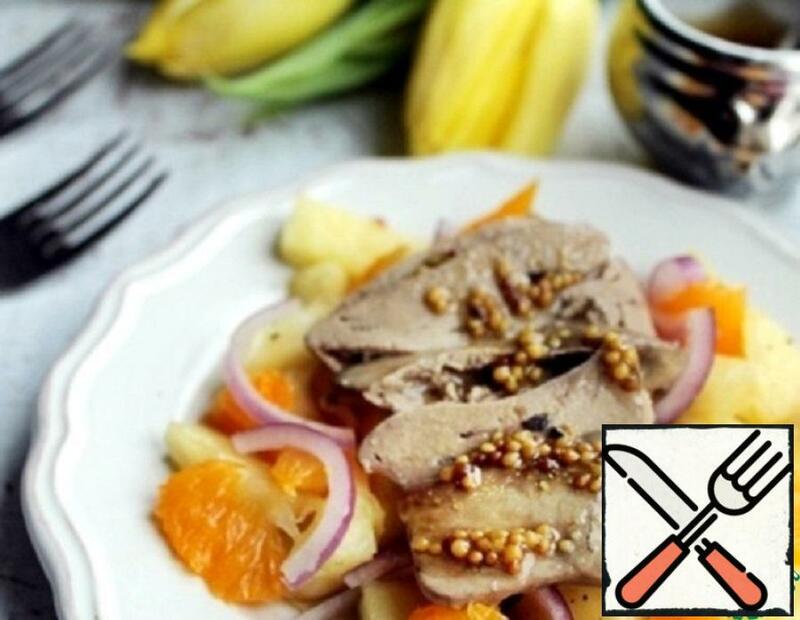 Prepare a dish, very tasty and really satisfying! You can substitute regular lettuce for the iceberg that was pohrustet.